NORWELL - Once again, the Hingham Harbormen are en route to Boston University. To say Hingham has unfinished business would be a tremendous understatement, but the Division 2 South champs sure look up to the task of capturing the program’s first state title since 2002 following a 17-5 blowout of the Beverly Panthers on Wednesday night. The Harbormen wasted little time making their statement, with Tommy Welch scoring just 14 seconds into the contest. Welch was one of 10 goal scorers for Hingham, which never trailed. “It’s another step closer to where we want to be and where everybody wants to be at this time of year,” Harbormen head coach John Todd said. Jake Quilty scored less than a minute later for Hingham, further establishing the tone. Sam Abate got Beverly on the board at 3:30 of the first quarter, but it was as close as the Panthers could get. The Harbormen rattled off the next seven goals, the final score establishing Hingham’s largest lead of the night. Frankie Higgins led Hingham with three goals, all three of his strikes coming in the second quarter. His first of the period came just 15 seconds in, his next capped the 7-0 run, his last just the same as the first two: a scoop and score after winning on the face-off X.
Marshall Terres scored just six seconds shy of the halftime buzzer, stretching the Harbormen lead to 12-4. 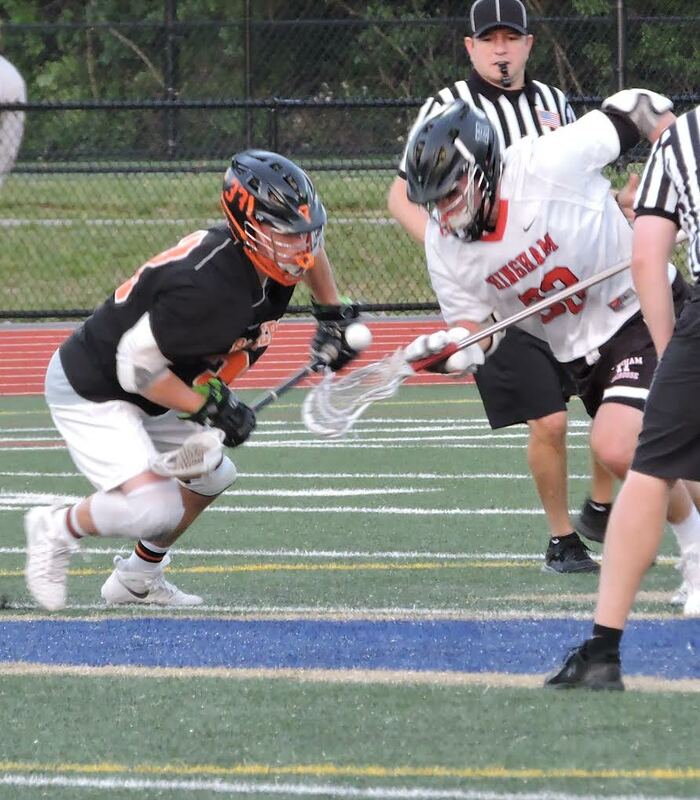 Marc O’Rourke, who finished with two goals, knew Beverly wasn’t to be taken lightly – not after they ended Wakefield’s quest for a perfect season in the Division 2 North championship game. 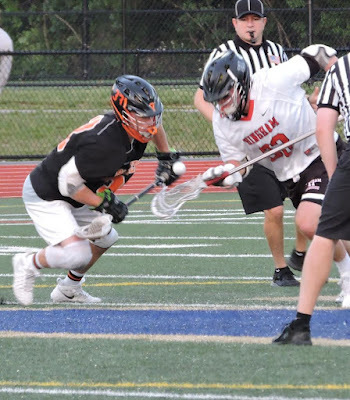 Todd agreed that the Panthers were a formidable opponent heading in, adding that the game came down to a number of 50-50 ground balls – the majority of which Hingham was able to control. Jack Hennessey, who scored the 17th and final goal of the night for the Harbormen, believes this incarnation of Hingham is more gifted offensively and less selfish than its predecessors.